Palm Springs California, Cosmetic Surgeon - Ronald A. Fragen, M.D., F.A.C.S. If you’re a current patient, thank you for allowing us the opportunity to fulfill your aesthetic surgery needs in Palm Springs. If you’re a new visitor, we look forward to meeting you and exploring the wonderful options available for enhancing your natural beauty through cosmetic surgery. Our desire is to provide you with the finest personalized care, while creating beautiful, natural results that turn your dreams into reality. Choosing a surgeon. This website was designed with you in mind. The site offers us an additional way to provide helpful information that will allow our patients to make more informed decisions. We genuinely hope that you will discover more about our practice, the many plastic surgery procedures and treatments available to you, and other useful information that will answer questions you might have about cosmetic surgery and the services we can provide in Palm Springs. **We Suggest you link to a Video Interview of Dr. Ronald Fragen at www.PattiPatane.com. Ronald A. Fragen, M.D., F.A.C.S. Palm Springs Cosmetic Surgeon, Dr. Ronald A. Fragen is a Diplomate of American Boards of Cosmetic Surgery and Facial Plastic and Reconstructive Surgery. He is dedicated to excellence and achieving an artistic non-operated look. 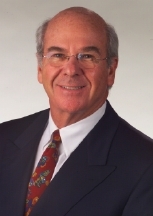 Dr. Ronald A. Fragen is located at 1900 E. Tahquitz Canyon Way suite A2 Palm Springs, California.